I was driving back home last night from work ...first went to parking lot to clean the car..it was snowing ..it was like a white comforter my car is wrapped inn..I took out the brush and oops!!! half of the snow went on my drivers seat..pissed off ! !..I removed it with my glove hand ...and started the car with heater on rear windshield ..so little less work for me...then started cleaning programme...as I brushed the roof ,a thick layer of the snow was everywhere on me..my cap ,jacket ,snow boots all white ..I tried to brush my self first looking like a clown ..in a parking lot ..then noticed the roof has snow again ,the area I cleaned ..I thought of doing it fast and finishing off to get started and go home...but it was not that simple ..It took me half an hour to clean..when I reached the front of the car there was lot of snow again on windshield and wipers were jammed...I started the windshield spray sitting on drivers seat..and started the car the way it was....But ..it was so misty nothing could be seen zero visibility..I improved the speed of wipers which were now working...and started spraying more often, I wanted to take the right turn ...oh my God!! the brake is not working its moving towards the main road ....it was so slippery ..my heat beat getting faster I was trying my best keeping my foot on the brake but it was not stopping ..I will sure Die today if not accident then heart attack ...I remembered my hubby's advice he always told me not to leave the brake keep pressing it the ABS system will work that is installed in the car...I kept praying to God I don't want to die so soon..plz help me!..help! ..help! ..the brake was making lot of noise..but then a miracle it stopped at the middle of the road ..the traffic was slow ..so they all stopped looking at me ..nobody honked ...I was saved ..
Its a tough life there. Scary but i think you did well :) to get out of the trouble. .. I am so glad you are safe. Snow could be very risky . We were stuck on mountains and had difficult time too. HI Harman, came to your blog from A's blog. I can fully understand the problems people have with snow, it is not all that filmy, cozy and romantic as we have been brainwashed by the some movies. However since we are not the ones suffering we like to always think the we would love to live in a place where it snows like hell. My son is in Ann Arbor, and keeps telling me, that I would hate the snow, it is nice only for some time, and after that it gets on your nerves. Whenever I tell him i would like to visit his place during winter, she warns me that I would totally hate it. However I had my fill of the snow in Sikkim, and I am satisfied. Good to know you. Happy New Year! ABS does work i know :) been there a lot many times .. 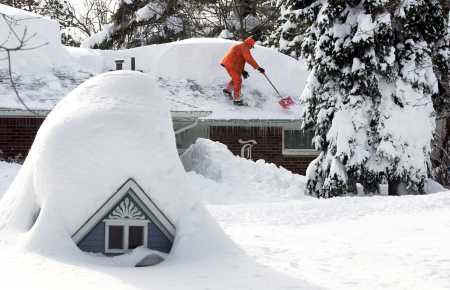 The truth is that snow covered trees and houses look so good,like in post cards.But,life,it seems os so difficult. Be careful handling snow.Never with bare hands.Protect yourself and take good care.Dont you use the winter chains on tyres when you drive? these days its snowing a lot..
@bikram...lower gear which one..all cars are automated no stick shift..
what do you do ..I mean which gear are you talking..lemme know the fix :)if any..
@A..yes mountain experience we had too :)hubby was driving in mountains but landed in jungle following the GPS it was we were on a deserted place ..with dead end..kinda scary and no way to turn back..lol it was also hell on one side and dead end on other..it was in Tennessee for vacation ...but after that ..got a lesson never trust "GPS"
@AS..I didnt do any thing jus kept my foot on brake even thou it was not working and kept praying...God saved me!! @Rama..Ann arbor is very close to our place jus twenty minutes drive from here..if ever need help jus leave a message,,its like in neighborhood,,is he in UFM? Snow is good in movies only..its major coz of accidents dear..
i thought you are a male, whats harman? Glad you are safe!! and thank auto industry for ABS!! It normally saves my life too... sometimes we (or I) forget after summer driving that we (I) need to slow down during winter driving... black ice covered in snow is the worst part!! but you gotta admit it is sooo much fun to drive in snow... when you are trying to turn right but instead your car will on its own decide to turn left instead... because it's more fun that way?! I know you don't like snow but... there are only three things "unavoidable" in these countries... Death, Taxes, & SNOW! so, enjoy the season while it lasts... and it will be spring before you know it!! P.S. You are right about the GPS... that damn thing doesn't work in so many conditions... especially when you are stuck somewhere you desperately need to find a way out of!! thank god u r safe!! you should use snow chains - it really helps. take care and drive safely. I've never seen snowfall becoz Rajasthan is little warmer, but this time many cities in this state touched the mark of 0 deg centigrade. aaaaaaaaaaaaaaa.... So So scary. thanks.. it doesnt snow in Mumbai. Take Care dear Friend ! @Generalist...lol..My name is Harman..its female..C'mmon its for females too that kinda name!! @sonali..thanks dear..I will inquire about chains! @Shrikrishna..yep I know its cold in india!some cities tis like freezing!! I have seen them using special tyres during winter season in Germany.There are metallic chains on some of these tyres.The dealer who sells these usually will store your summer tyres for you.Many studies have shown that they are safer.